I haven't showcased a make up look in a while. To be honest, I think I'm pretty terrible at applying my make up, and my brother keeps telling me I put on too much (thanks bro). I've always avoided a vampy red lip but I had the urge to pick up a shade from Boots. I was a bit worried it wouldn't suit me but I luuuurve this look. 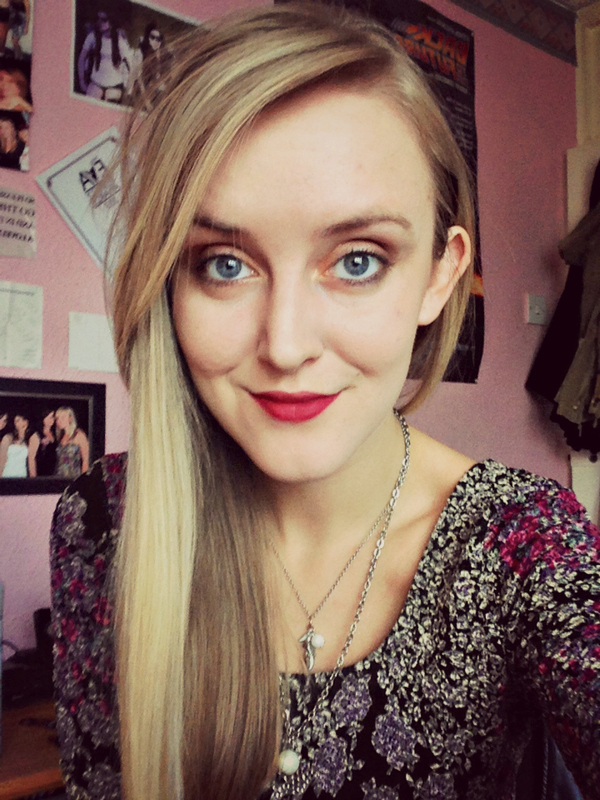 Apparently the Kate Moss lipstick in 107 is incredibly popular, and I can certainly see why! It's more of a wine colour red, which suits my skin tone a lot more than a really bright red. I think that if you want to have a bold lip you should stick to a matte finish. I'm not a huge fan of a glossy bold lip. I'm not shying away from a red lip after using this one - I'm officially a convert! Love rimmel lippies and your makeup looks lovely! Love the makeup look and especially the lip color! This red looks classic, not vampy at all! Perfect color for your skintone. I'm always concerned I'll look like a clown with a dark lip, but this is encouraging! Just need to find the right shade.